Until the introduction of Buddhism in Tibet in the fourth century A.D., the Bon religion forms the basis of Tibetan astrology. Its doctrines are presented in a detailed system of categories and sub-categories, two of which are astrology and medicine. The Bon doctrines acknowledge the five elements of Wood, Fire, Earth, Metal and Water, and use a system of astrological prediction and divination similar to shamanism. Tibetan King Namri Songtsen sends four of Tibet's most brilliant young scholars to China to study astrology. 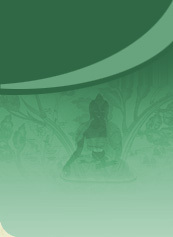 On their return, the four introduce invaluable information to Tibetan astrology. However, there being no written language of Tibet at the time, the information is only conveyed orally. The fifth wife of Tibetan King Songtsen Gampo, Kong Ju, an accomplished astrologer, introduces Chinese Classical Elemental Astrology to Tibet. Generally regarded as the pinnacle or "Golden Age" in Tibetan medicine, astrology, and Dharma, each field enjoys its highest patronage and development. In fact, the high standards set by Tibetan scholars in this period inspire Tibetan scholars for centuries to come. Indian Sage Guru Padma Sambhava introduces the concept that elements in their pure form are the basis of all life in the universe, and that the same elements in their impure form are poisonous to the body. At the hands of weak leadership, there is a decline in Tibetan power, and with it, a decline in Tibetan astrology. The Sri Kalachakra Tantra, which forms the basis of modern Tibetan astrology, is translated from Sanskrit into Tibetan. Its principles lead to the creation of the first annual Tibetan almanac, which allows the user to determine the precise day-to-day positions of the stars, planets and signs of the zodiac. Under the leadership of H.H the Fifth Dalai Lama, Ngawang Lobsang Gyatso, Tibetan astronomy and astrology rise to their pre-vious glory. His Holiness's regent, Desi Sangye Gyatso, compiles a folio of Tibetan astrology which remains in use today. Tibetan Elemental Astrology, 'Byung-rTsis, is based on the five elements, the twelve-year cycle, eight par-kha or trigrams, and nine sme-wa or magic square numbers. Tibetan astrologers use these to calculate horoscopes along with four major themes: one's life span, physical condition, economic and political power, and overall luck in business and work. The Tibetan system of Astronomy, sKar-rTsis, draws from the Shri Kalachakra Tantra and the Arising Vowel System, dByangs-'Char, which assigns a different vowel in each day of the month, and calculates its effect on individuals and nations. There are parallels between Tibetan and Vedic astrology in their calculation of calendars and planetary movement. Although the Tibetan and Indian calendars start the year on different dates, they are similar in their use of the twelve zodiac houses and the five planets of Mars, Mercury, Jupiter, Venus and Saturn. (The outer planets are not recognised, as they had not been discovered at the time the ancient texts were written.) Like Vedic astrology, Tibetan astrology recognises the shadowy planets of Rahu and Ketu, which are important for the prediction of eclipses, wellbeing of the people, and nation. The Tibetan astrologer plays an important and active role in the Tibetan community, especially during times of births, deaths, marriages and prolonged illnesses. When a child is born, Tibetan parents often consult an astrologer to learn about the child's future. The astrologer constructs a birth chart, which includes predictions about the child's health, education, likely occupation, prosperity etc. If the birth chart predictions are unfavourable, an antidote, often in the form of a prayer, is prescribed. In other situations, the parents may be asked to give something for a charity. If the life of the child is in danger, a preventative measure can be taken by saving the life of an animal that is about to be slaughtered. Before marrying, the parents of either the bride or groom may approach an astrologer to draw up a marriage chart (Which parents approach the astrologer depends on which household the couple will live in after marriage). The marriage chart includes predictions based on the couple's lasting of relations, standard of living, health, the quality and number of children the mother will bear, which partner will be more influential over the another, and their over all luck. In the case when any of these predictions are unfavourable, the astrologer will prepare an amulet for either partner, or, in exceptional circumstances, for both partners. Alternatively, the couple may be asked to recite prayers depending upon the nature and seriousness of the problem. In a situation where a disease is considered to be karmic - i.e. the result of harmful spirits or negative karma - an antidote may be drawn either by an astrologer or lama. The astrologer determines which spirit is afflicting the patient, the type of disease it has produced, and the prayer that is needed to appease the spirit. Alternatively, the astrologer may aid the patient by determining which doctor and system of medicine is most appropriate to treat the ailment. An astrologer also plays an important role in the community near the time of death. At this point, an astrologer is often called on to determine whether the dying person has any life left in his/her body. To avoid bad spirits after the person's death, the astrologer draws a death chart based on both the birth and death details of the deceased. It determines who can and cannot touch the body, particular objects or belongings that may need to be removed out of the house, on which day the body should be moved, and the necessary prayers that the deceased family should make. The astrologer may also be called on at other times, such as when a person is moving house or beginning an important journey or project in his/her life. In this way, Tibetan astrologers continue to occupy an important role in the Tibetan community in much the same way they have for thousands of years.